Learn more about Tacoma’s power supply and how we are planning to meet our future energy needs. Tacoma Power recently updated our Integrated Resource Plan (IRP). The IRP helps us assess a portfolio of available generation and conservation resources. This analysis ensures we have sufficient power resources to meet our customers’ long-term needs. As part of the development process for the 2017 IRP, the public was invited to participate by attending our stakeholder sessions. We held two sessions, one on April 19 and another on September 27, 2017, where we discussed Tacoma Power’s loads and resources as well as our opportunities and challenges ahead. Contact Ahlmahz Negash at anegash@cityoftacoma.org with any questions about the IRP process. Climate Change Impacts on Tacoma Power Watersheds – Review the presentation made by the University of Washington’s Climate Impacts Group. Learn more about our Development of Scenarios for the 2015 Integrated Resource Plan. 2018/2019 Conservation Plan – Power conservation is also part of our power management strategy. We use conservation today as a way to efficiently meet load growth in the coming years. 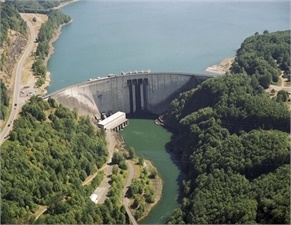 Resource Adequacy Standard – This paper describes the standard Tacoma Power uses for integrated resource planning. 2015 IRP – Tacoma Power’s previous version of the IRP. The updated report from 2017 provides a progress report on our findings from 2015.